It’s not a secret that with the latest Google mobile-friendly update and the general trend in the eCommerce landscape – mobile traffic will be an important focus for many online businesses. More and more shoppers are getting used to buying through their mobile devices and this trend will only get stronger in the years to come. Responsive and adaptive designs, mobile applications are here to solve this problem. If you’re reading this then you already realize the importance of a mobile-friendly website. There is no room for hesitation. There is nothing that should stop you from serving your mobile visitors. This collection of Magento solutions is perfect for anyone who’s looking for options and ideas that can transform their website into a mobile marketing powerhouse. These solutions have different purposes, but their goal is the same – to make your business more competitive, and to increase your sales and revenue. There are certain advantages an app might have over a fully redesigned website. For example, push notifications offer a great opportunity to additionally engage people via discounts and various promotions. But the biggest disparity between these 2 options is the price. A full mobile-friendly redesign for your website will cost you thousands of dollars. While a mobile app will only cost you a fraction of that. That’s why it’s important to include app creation tools in this list, as they’re a great alternative for small business that want to enter the mobile marketing scene. This solution is an eCommerce app builder, which specializes in many platforms, including Magento. The setup is pretty simple – sign up for the service, install the extension, make necessary changes to your store’s mobile version, by adjusting the theme, images, menus, colors, etc. Voila – your mobile app is ready for the web and you can publish it to the App Store, Google Play or wherever you want. The best thing about this platform is the availability of options that they offer. You can integrate your mobile app with Google Analytics, Magento and with various payment processors. They will also help you with the app submission process, which is quite handy. 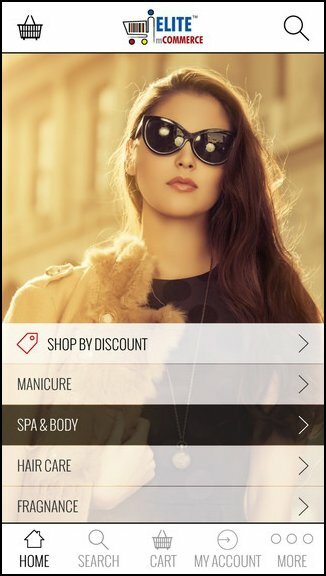 Elite mCommerce also offers a couple of great marketing features, like reward points program (think of it as Foursquare statuses for certain actions). If your business is connected to a brick-and-mortar location – the app can also serve as a store locator for your potential customers. A great solution for local businesses that want to engage local mobile users. This is another app solution, which can offer you an alternative to building a responsive website or buying a responsive Magento theme. The best feature of this product is that it allows you to review the app before the purchase. You can make all of the necessary changes through your Magento admin panel, using their extension, publish the app and test it, using various mobile devices. Then you can decide, whether you should be paying for the product or not. MobiCommerce supports all of the major features that are available in your product catalogue, like product filtering, keyword search, wish lists, and other features. These features allow you to mimic your website in the app, without depriving your visitors of any of the functionality that is available on your website. Another important factor is that, unlike the previous app solution with a subscription-based model, with this product you’re paying once for your application and that’s it – the product is yours and you can do whatever you want with it. This next solution is pretty specific and might not work for every website. It transforms your current website into a mobile-ready format, without changing any of the core Magento files or your design. 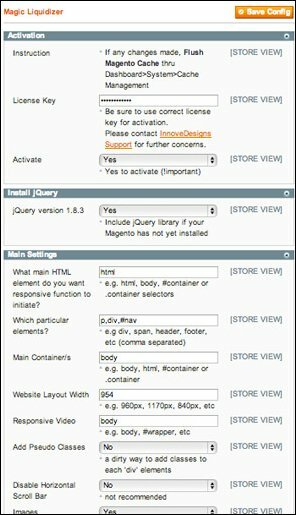 It was previously only available for WordPress, but the developer recently released a version for Magento. When installed and configured, this extension allows your website to be displayed as if it was fully designed and developed with RWD responsive web design guidelines in mind. But, at the same time, it doesn’t change any of the features or modules on your website, it simply mimics them in a mobile-friendly manner by resizing the images and changing some of the display features of your pages. You can even have it work with only particular elements of your webpages. To be clear, this is not a solution that will work for any Magento website, specifically because of how such websites are designed and the features they have. This is because it doesn’t restrict any of your website’s HTML, CSS and other parts of the code, so it can’t affect the behavior of some of the elements on your website. This is convenient, because you can manually provide the breaking point for the mobile design to kick in. 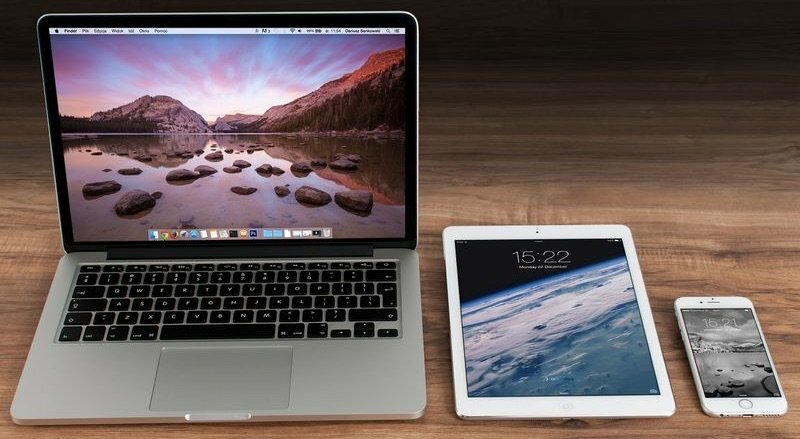 For example, if you want your website to behave differently for smartphone users, but you wish to keep it the same for iPad users, the settings will allow you to input the exact screen size, after which the altered version made by the Liquidizer should kick in. It does work, though and, to tell you the truth – I don’t understand how to the full extent. No wonder it has the word ‘Magic’ in its name. This still in closed beta, but should be interesting for anyone who pays attention to the mobile marketing and the mobile development scene. It was created specifically to bridge the gap between Magento and mobile applications. Think of it as an API for your Magento store that will allow you to easily create apps and concentrate more on their functionality, instead of their connectivity to Magento and its infrastructure. There isn’t much info that is publicly available about this tool, but you can always go through the free sign-up and find out exactly what SDKs and functions this product offers at the moment. Flexibility. It should work with various screen resolutions and make all of your store features available for your mobile customers. Otherwise they’re not getting the full experience and this means that you conversion rates may suffer. Affordability. It shouldn’t cost you an arm and a leg to make your website accessible for mobile visitors. Anything beyond a couple of hundred bucks per year for a solution like that is too much. Simplicity. It is preferable to choose a solution that is available and accessible for the non-IT personnel. You have to remember that mobile solutions like applications or any other tools are just a substitute for a proper mobile redesign. There is a number of options you have here – go for a proper redesign by ordering it from a freelancer or doing it in house. You can also use one of the thousands of mobile friendly themes for Magento available online. A lot of them are free and you can always modify them to fit your specific requirements. Alex Plotnikov – CMO at MageCloud.net, an innovative PaaS that helps store owners and developers launch new Magento stores in less than 10 minutes by installing themes, extensions and deploying everything into the cloud hosting infrastructure. Alex is new to Magento and is very excited to share what he learns about the platform. Feel free to connect with him on LinkedIn. Magento vs Odoo: Which Ecommerce Platform to Choose?